Why Hover is a great no frills domain name registrar provider? I recently discovered Hover recently, it’s a domain name registrar like GoDaddy, etc. but I am liking it for it’s ease of use and most importantly, no frills approach to giving you domain names. In that, it doesn’t keep upselling you things here and there, instead, it focuses on giving you the core basics that you need when you want a domain. They focus on getting me my domain up and running rather than up-selling to me. Things like the domain name itself and free privacy registration to protect your privacy included in the cost. Great domain transfer checker (“Transfer” tab) – If you’re switching to Hover, they offer a free transfer “valet” service, where they’ll do all of the work for you and will just let you know when everything’s done. Remaining domain name time you have purchased will be kept – Now this is a really cool and my favourite feature. I don’t see many other providers offering this. What happens to the remaining time that I have already registered? Regardless of when you transfer, you will keep the remaining time left on your domain’s registration. The cost of your domain transfer will add an additional year of registration after the domain’s expiry date. For example, a domain transferred on October 1, 2015 that is set to expire on January 15, 2016 will now expire on January 15, 2017. This will be the case for most top-level domains, however there are a few exceptions that will not apply an additional year. Check with your particular TLD’s registry to see what their domain transfers policy is. No Frills, Simple and Easy to use Interface – Domain privacy is included (that is Private Registration can be easily switched on or off). As they are not looking to upsell you many things, it is easier to see where your key domain management settings are. Excellent customer support – I recently had an issue with one of my subdomains DNS not resolving and they were able to investigate and help resolve my issue in less than 5 minutes. The cause, if you’re wondering was that during the transfer, my old DNS servers were still pointing at GoDaddy (previous domain name registrar) so I just needed to update them to the Hover DNS servers. Problem solved, quick and easy. Privacy discounts for more domains after your 10th domain – This applies more for web designers and those will many websites. But Hover gives you the option to pay less with more domains. 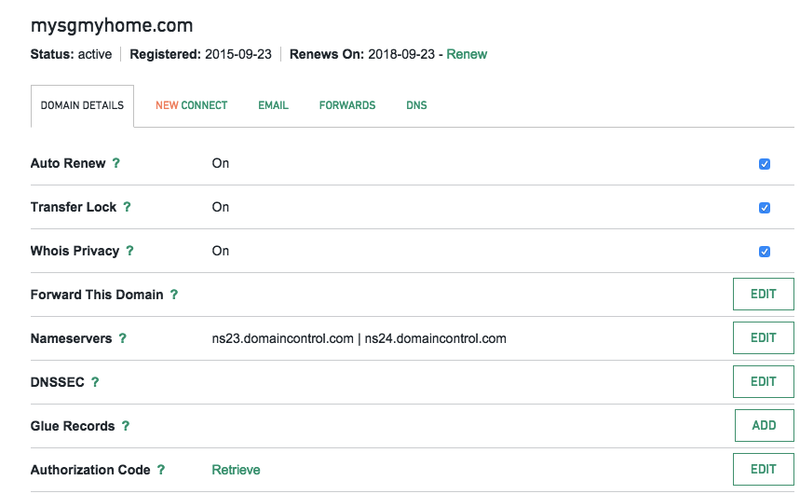 The more domains you have in your Hover account, the less you pay for renewals. The savings start at just ten domains, and they go up from there. Looks pricer for the domain name compared to other services – This is true, at least at the face value of it for the domain name itself ($12.99/yr USD per domain name compared to $10.99/yr at name.com). However, it is cheaper if you consider core settings like free Private Registration included essential for your needs (so your personal registration details for your domain name is not revealed publicly on who.is). If you’re like me this is a must have setting and it’s not something I would like to pay additional for. Hover gives this basic privacy need for free which is what I love about it. No need to pay $11.99/yr USD per domain with GoDaddy or other providers just for this same functionality. Feel free to check out Hover today and read more details about them.